Groupira® will headline Derek Barron in a marketing campaign series of YouTube videos speaking to the 99% of main street Americans about saving for retirement. Under the trademark of “Just Earn It” he is promoting financial literacy to all Americans by encouraging “Extend Yourself” – a campaign focused on saving as much as you can, no matter how late in the savings cycle you may be. Derek started golfing 10+ years after the average PGA Professionals worked every main street job imaginable – bartending, courier, construction, warehouse – and today plays Professional golf. 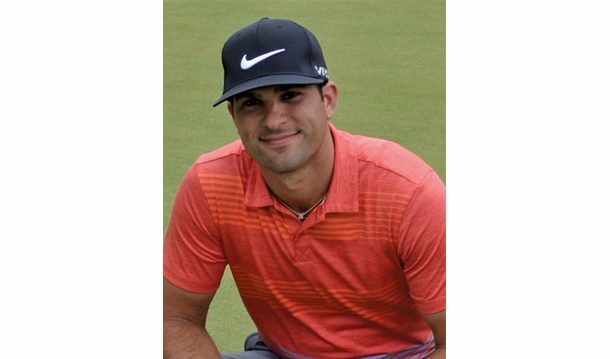 Barron is a PGA Tour Professional hopeful golfer who first golfed at age 17, and has played web.com Tour, PGA Tour, and Canadian Tour events 15 years later. Born and raised in Tacoma and he is the first Professional golfer to start playing as late as he did in life.